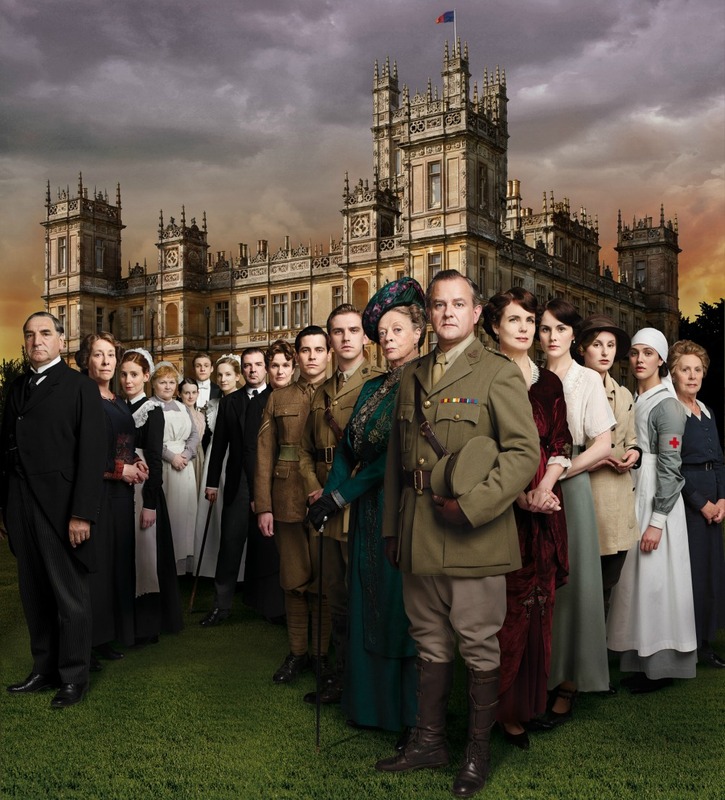 Like millions of others around the world, I am addicted to the hit drama, “Downton Abbey,” shown on PBS here in the States and ITV across the pond. It centers around the luxurious estate led by Lord Grantham, his wife Cora, their three daughters, grandma (played by the wonderfully delightful Maggie Smith), a new heir apparent (the handsome Dan Stevens) and all of the servants who tend to their every need. While I would LOVE it if they came out with a book of Mrs. Patmore’s recipes or ‘Lady Cora’s Guide to Hosting a Fabulous Garden Party,” there currently isn’t a work dedicated to the food of Downton. (Wow, talk about an awesome assignment to get!?!?) It seems only fitting that a food book would come out as much of the time is spent in the kitchen or in the elaborate dining room during the series. 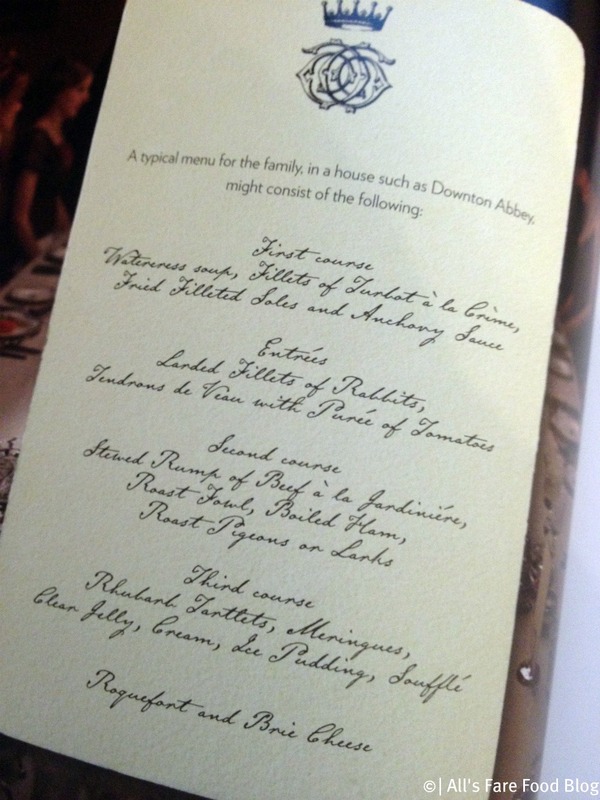 The best thing I have found is – Downton Abbey Cooks – a blog dedicated to, what else, the food at Downton. In Fellowes’ book, she discusses ‘Life in the Kitchen’ and how the servants, like the naive Daisy or the motherly Mrs. Patmore, had the longest hours – getting up in the wee hours of the morning to prepare breakfast for the family and then all of the other meals including afternoon tea and an extravagant dinner that could include three to five courses. There was also the meals for the servants that needed prepping, too. Interesting fact: Lady Grantham never had breakfast in the dining room, as “married women enjoy the privilege of breakfast in bed,” writes Fellowes. Wish I had that life! As war takes over Europe at the beginning of the second series, things around Downton Abbey begin to change. Servants leave to fight for their country, leaving no footmen available to serve. The ever-orthodox Mr. Carson must be flexible and must acquiesce for women servants to have a role in the dining room. Sybil, the Grantham’s youngest daughter, also prepares for her new role as a nurse during World War I. She asks Mrs. Patmore and Daisy (above) to show her simple tasks like how to boil the proper cup of tea or how to make a cake so she won’t be an embarrassment as she leaves home for the first time. If you haven’t caught the show yet, tune-in to PBS at 9 p.m. Eastern on Sundays. You could also watch on PBS.org or Netflix on Demand. Then, be sure to check out Shirley MacLaine in series three (starting to film soon) as Lady Cora’s mother. That should be an interesting foe for the Dowager Countess! Are you in love with ‘Downton,’ too? Do you want Mary and Matthew to get together? Hate O’Brien and Thomas scheming against Bates all the time? Leave your comments below about what you love and hate or predictions for the end of Series Two! Eating Like the Lords and Ladies of Downton Abbey by Yahoo! This entry was posted in Food - General and tagged aristocracy, books, Daisy, Downton Abbey, Grantham, ITV, Jessica Fellowes, Julian Fellowes, Lady Sybil, Masterpiece, Mrs. Patmore, PBS, World War I by Christina. Bookmark the permalink.